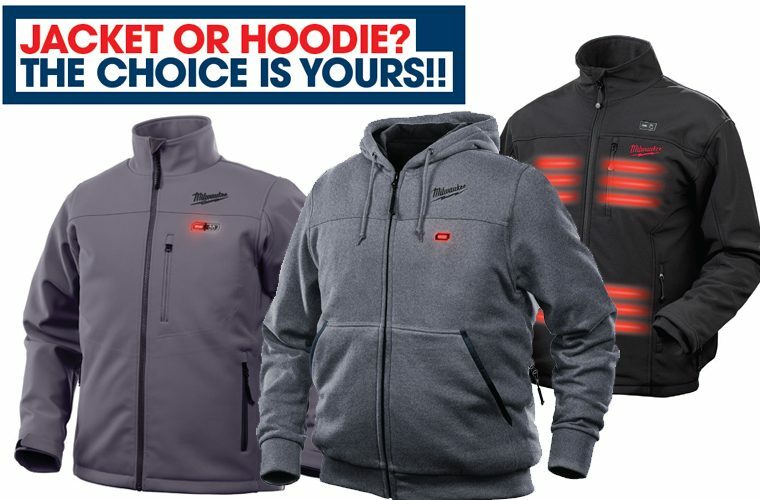 Choice of black or grey coloured Milwaukee M12 Premium Heated Jacket or grey Milwaukee M12 Heated Hoodie in sizes S. M, L, XL and XXL. Priced at just £109.05 + VAT for the hoodie and £149 + VAT for the jackets, with battery and charger sold separately. Contact your local branch of The Parts Alliance or call the Garage Essentials team on 0121 749 8801. You can view now too using the ‘More Details’ button below.